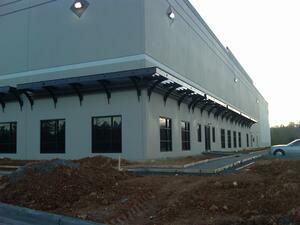 Are you in touch with what is happening in the industrial real estate market? A shortage exists everywhere, creating real challenges for businesses seeking to expand in their marketplace. For example, Napa Valley's industrial warehouse vacancies are now at 1.3 percent. The thriving wine industry finds its growth and margins constrained due to a lack of space to store inventory, and higher freight costs to store it farther away. In 2017, commercial properties in most markets enjoyed the sustained growth of demand, high occupancy rates, and rising rents. This is under added pressure in 2018 due to rising interest rates and increased U.S. manufacturing activity encouraged by recent tax reforms. U.S. industrial rents now average $5.53 per square foot with a year-over-year increase of 5.3 percent. Many tenants are in the difficult situation where expiring long-term leases are 30-50% below today’s market rates. For example, if you have been leasing space for the past ten years at a $4.50 sq. ft. rate and the owner comes to you this year to let you know the rate is increasing to $6.50 per sq. ft., your options are to absorb this cost, buy the building or vacate. Do you have an immediate plan in place to address the options you’ve been given? As top logistics markets continue to operate at a sub–3.5 percent vacancy rate, you can expect continued competition for quality warehouse and distribution space to add pressure on rents through 2018. First Quarter 2018 warehousing vacancy by US Region - Source: U.S. Real Estate News: U.S. warehouse and distribution rents rise as vacancy rates dip. If you still aren’t clear on how the industrial real estate market affects your business, you should consider implementing a strategic plan for your organization now. Analyze your customer base and determine future growth projections. It’s become clear that neither one size—nor one supply chain strategy—fits all anymore. What we are seeing are more retailers turning to 3PL’s to help manage omni-channel and e-commerce operations at their warehouse and distribution centers. E-commerce may be taking down brick-and-mortar retail stores, but there’s a flip side for the commercial real estate market: The rising popularity of online shopping is creating a higher demand for industrial land—coupled with a growing economy—there has been an increase in investment in distribution centers and warehouses. While most of these issues continue to persist, with land being the biggest, analysts report that the development pipeline has improved. Some developers have gone so far as to utilize brownfield sites, including “dead” shopping malls to construct distribution centers. You would have to be living in a barn if you can’t see that Amazon is growing faster than ever with their unmatched logistics capabilities. Major retailers like Walmart and Target have made strides to improve their e-commerce market since. But as for the transportation infrastructure needed to support them? Not so much. And, there is no indication of a slowdown in 2018. According to U.S. Real Estate News, nearly 81% of the U.S. development pipeline is dominated by smaller to mid-sized industrial buildings ranging in size from 50,000-500,000 square feet. This is in response to an increase in leasing demand for smaller to mid-size spaces and the lack of available buildable land for mega warehouses (over 1,000,000 square feet). Fierce competition between e-commerce and retail giants is increasingly putting the last-mile delivery process as part of their strategic plan. Since last-mile delivery is completely dependent on the positioning of the RDC (Regional Distribution Center), it is critical for companies to locate or develop spaces near densely populated markets. Spartan Logistics continuously improves supply chain flow for our clients by providing turnkey solutions which combine our warehouse operating experience, trucking, real estate development and construction through our three operating companies. We are able to scale our clients’ operations and meet demand peaks. If your company’s distribution center needs simply cannot be met by our existing facilities and need to be ready ASAP, then we may have the perfect solution for your needs through the services of NAI Harmon Group and their diverse portfolio of commercial properties all across the US.